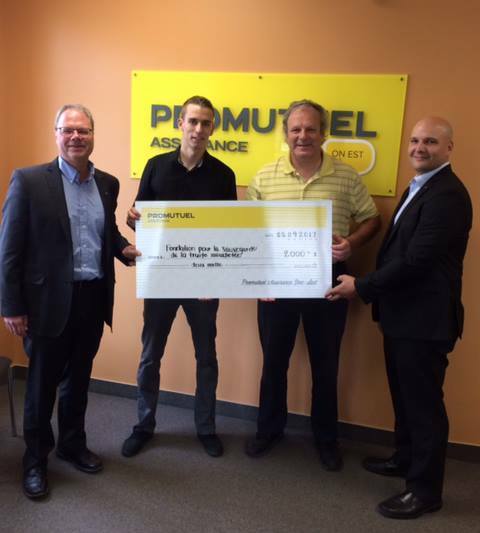 Just by requesting a quote, Raphaël Desbiens won $1,000 for himself and $2,000 for an organization of his choice. He chose Fondation pour la sauvegarde de la truite mouchetée, which educates youth about aquatic habitat protection and funds university research projects to develop and improve rehabilitation techniques for brook trout spawning grounds and habitats. Congratulations, Mr. Desbiens!